With the help of adroit team, we present an extensive series of Sugar Grinder. Our products are available in varied specifications that meet on consumer’s demand. And the bigger one with 2 hp can grind upto 40 kg in an hour . We have marked a remarkable position in the market by offering the best quality array of Sugar Grinder. - Necessary for bakeries / units using pure powdered sugar for cookies production. With support of our excellent team workers, we have been delivering the best quality range of Sugar Grinder. These are used to grind sugar into a fine, powdery form. These machines are widely demanded by our esteemed clients for its high strength and long serving life. 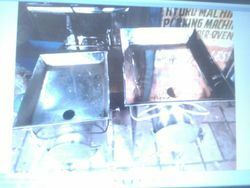 They are made in stainless steel and are dust proof. Our organization is well known in the industry, engaged in offering a broad range of Sugar Grinder to our prestigious clients. Commercial machines used for grinding sugar. Available in single phase and three phase connections. Model – DE-SG-M1 Sugar Grinder Dimension – 610 x 1220 x 1000mm Power – 1 H.P. We are extensively engaged in offering a vast collection of Sugar Grinder and are extensively admired and respected company in the industry in this field. By utilizing the premium quality materials available, our highly experienced and skilled experts develop these products at according to the global quality benchmarks. Rose Manufacture & Trading Co. 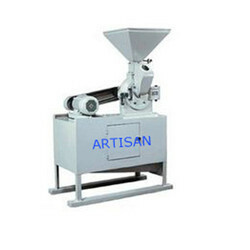 Being a leading enterprise of this industry, we are offering a huge range of Sugar Grinder. We offer high quality of Sugarcane Milling Tandems. We are engaged in manufacturing machines such as sugar grinder. The machine is used to grind granular (crystal) sugar into powder form. Pin mill type / Hammer mill type, fully automatic including feeding system. From 200 kg to 1000 kg / hr.